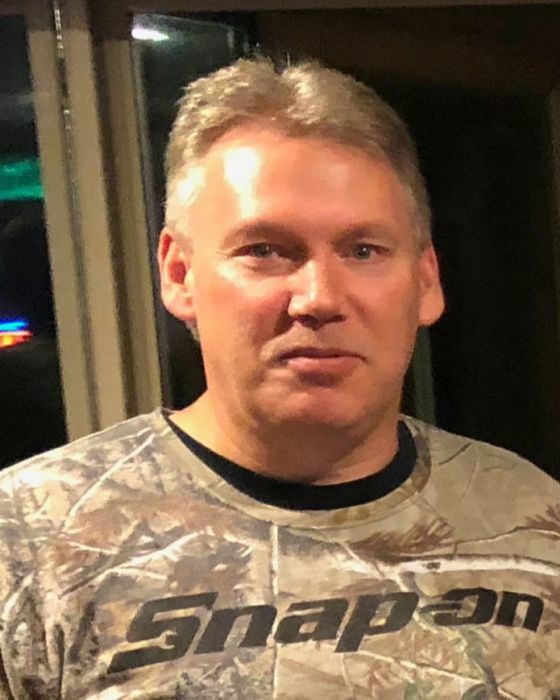 Obituary for Edward "Ed" Joseph Sowa II | Bowerman Funeral Home, Inc.
Edward “Ed” J. Sowa II, age 55, of Munising, died unexpectedly at his home on Thursday, October 25, 2018 following a brief illness. He was born on August 17, 1963 in Munising to Edward and Ann (Boyak) Sowa. Ed grew up in Munising and while in high school worked at Hub’s Super Valu and participated in football, basketball, and track. He graduated from Munising High School in 1982 and attended DeVry Institute. Ed served four years in the U.S. Air Force as a mechanic and was stationed in Shreveport, Louisiana. He returned to Munising and began working at Kimberly Clark in 1994. Ed married Vicki Elavsky on August 24, 1996. His working career was always in the Specialties Department at the mill and Ed was the Operator on #17 and #18 at the time of his death with over twenty-four years of dedicated service. Ed liked old cars and attending car shows. He was a meticulous “jack of all trades” and was always helpful the mechanic needs for family and friends. Ed enjoyed side-by-side rides with Vicki and was supportive and proud of her work with the dog shows and competitions. He loved those little dogs. Ed was a kind and genuine man who was honest and had great work ethic and integrity. He is survived by his wife of twenty-two years – Vicki Sowa of Munising; father – Edward Sowa of Munising; mother-in-law Arlene Elavsky; siblings – John (Treasa) Sowa of Munising, Steve (Kathleen) Sowa of Wetmore, Sharon (Peter) Kochis of Munising, and Mike (Cathy) Sowa of Munising; nieces and nephews – Misty, Erin, Brent, Paige, Peter, Kristy, Cassie, and Sheena; and numerous great nieces and nephews, aunts, uncles, cousins and friends. Ed was preceded in death by his mother Ann Sowa and father-in-law Vic Elavsky. Visitation will be held at the Bowerman Funeral Home on Monday, October 29, 2018 from 1:00 p.m. until 5:30 p.m. Ed’s funeral service will be held at the Eden Lutheran Church in Munising on Monday at 6:30 p.m. Graveside services and military honors will be conducted by the American Legion and Vietnam Veteran Honor Guard on Tuesday, October 30, 2018 at 4:00 p.m. at the Maple Grove Cemetery in Munising.